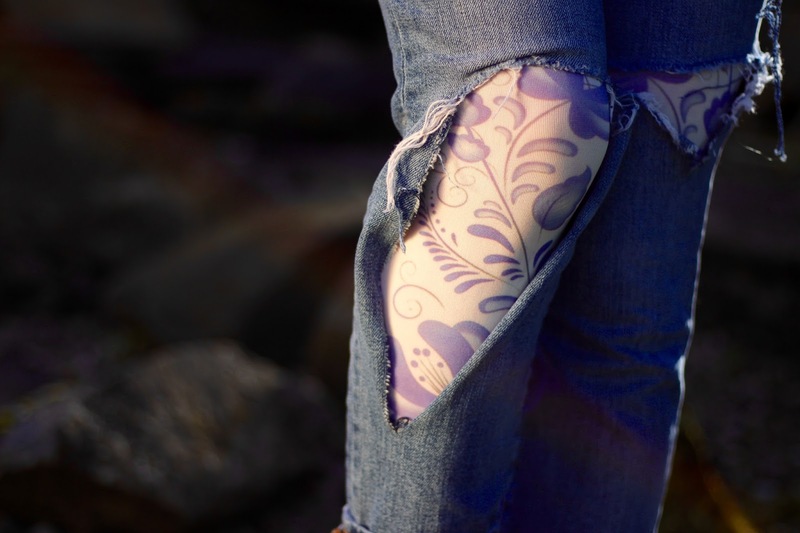 A great fashion tip on how to wear printed tights to accentuate details - thank you, Samantha! Welcome back to The fab 40's. THE FAB 40S DRESS LIKE PRINCESSES. My youngest daughter thought it was a great idea. "Oh Mum...please don't embarrass us!" This month it was Sheela's turn to choose what the Fab40's would be wearing, and she wanted to follow last month's tricky 'Pop Art' with something equally challenging. However, I am always up for a challenge and with such a diverse group of creatively minded women I knew great things could happen. So, with some trepidation I took Sheela's Challenge and ran with it. Layers and layers of frothy tulle. Maybe a tiara or two. Scary stuff for real life, especially over the age of 5! Once I had decided that the Disney princess I most admired was Elsa, the rest of my look came together easily. Elsa is the perfect princess. She is powerful and feisty. Yes, she had some serious issues... a troubled childhood and more than her fair share of woes. BUT, at the end of the day she comes good. All without the need for a "Prince Charming" to save her. She doesn't need a man to complete her. She just needs the love of her sister. Girl power all the way! This outfit was easy to wear, and lots of fun too! The main focus of this look (for me) was this icy-inspired top and these gorgeous tights. The tights are so well made and evenly opaque to the waist, so the slit in these jeans (at the top of my thigh) does not flash a reinforced area (yuck). 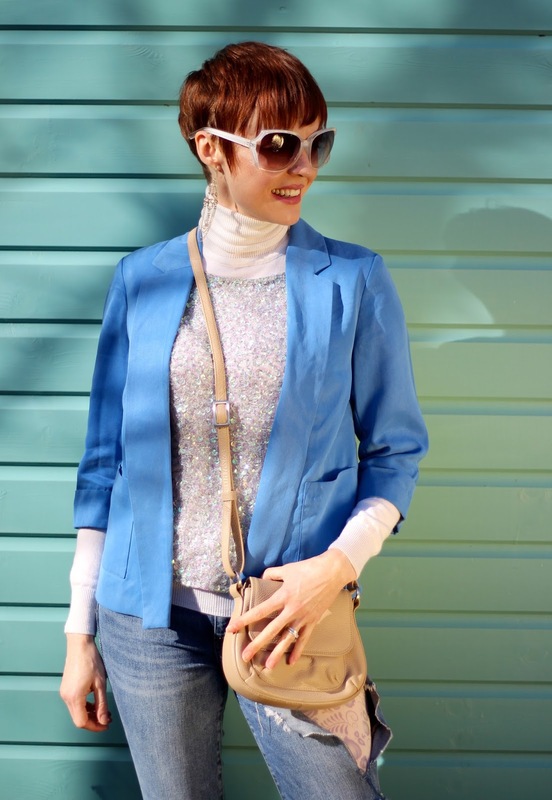 This sequined top is quite bold and eye-catching so I toned it down (very slightly) by adding a blue blazer. I would have worn the top on it's own but the material is irritating, and it was pretty chilly, so this cream polo-neck was perfect. 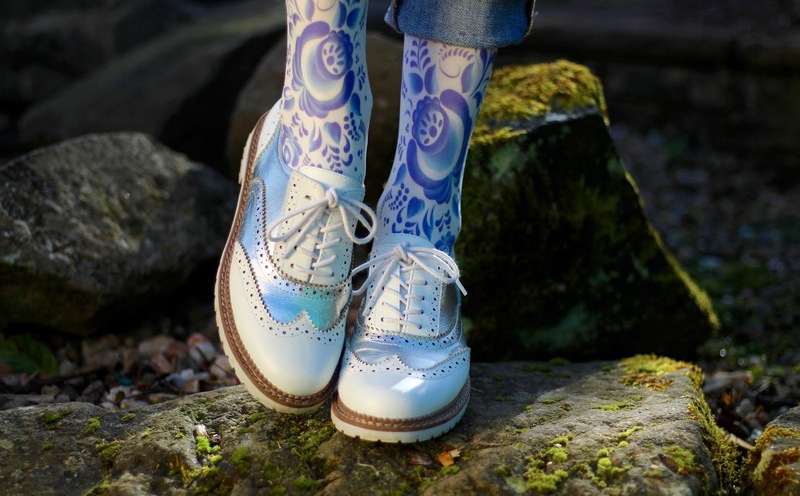 White and silver brogues finished things off nicely. JEANS: GAP... these are cool! TOP: Topshop...mine was a pound! This one is similar. BLAZER: Monsoon...this one is bold. Normally I like to talk about each of the outfits worn by my fellow bloggers, but not this month. I wanted you to have fun trying to guess who inspired their inner Princess! Pop over to the blogs (links are in the headings) to find out the full story.